Garden Pruning in Santa Barbara | Pruning Roses and Fruit Trees | Down to Earth Landscaping Inc. The answer to this question is that it all depends on your area or location and its microclimate. The biggest mistake people make regarding pruning is that they often do it too soon. This can be disastrous. A lot of uneducated gardeners prune roses and stone fruits as soon as early December. This is a serious mistake in Santa Barbara County. Let’s get started with rose pruning. The optimal time to prune roses is in late winter, which in Santa Barbara is January and February. Why? This is when the buds have begun to swell and frost damage is less likely to occur. 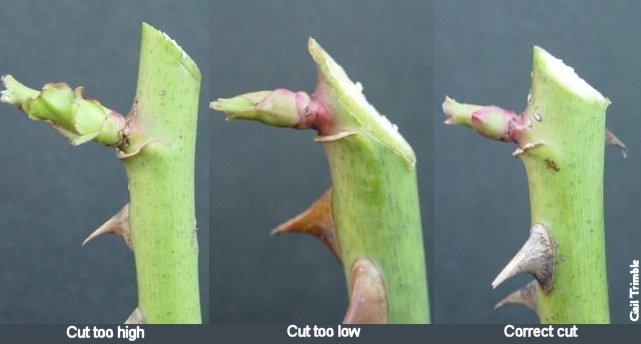 Pruning is the key to maintaining rose health. It eliminates dead, diseased, weak and damaged canes. It insures improved airflow, stronger healthy canes and produces larger flowers. Begin by removing any dead canes first. The next step is to search and remove any rootstock sucker growth. This growth will leach nutrients from the main plant and hinder proper growth. The final step is to determine what height you want your plant shrub to be and prune accordingly. This step also includes removing any crossing canes. Pruning roses is fun. Take your time, enjoy it, and watch those thorns! Provide light penetration. )Remove damaged wood. Some wood injury will occur each year from wind damage, fruit weight and diseases and insects. Remove weak, crossing and downward branches. Better growth for fruit production. 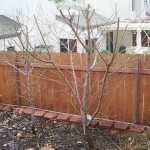 When should I prune my stone fruit trees? The best time is during late winter or early spring. Why? Less frost damage, trees are dormant and fruiting buds are visible. Pruning the grape vines maintains the shape of the plant, allows you to choose the fruiting wood and controls the potential yield. Each year, you should remove the fruiting canes or spurs from the previous year, and the excess canes. The “spur” – is what is left during spur pruning. One bud per cane. 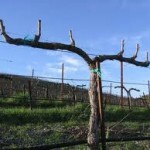 The “cane” – is removing one year’s growth during pruning. This encourages the plant to develop new fruiting wood. 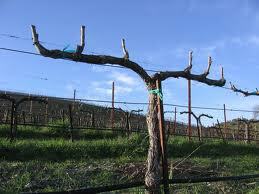 Two common methods exist to prune a grape vine: spurs and canes. Prune the spurs if the grape vine variety produces the best fruits on the bottom buds and prune the canes if its bottom buds are not fruitful. 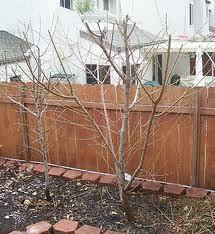 Prune a grape vine after the plant sheds its leaves in the fall and before budbreak in the spring. Remove the old fruiting wood from the previous season. Select one or two suitable fruiting canes for each plant. They should have a diameter of 1/4 to 1/2 inch, with little space between nodes of about 3 to 4 inches. They should get plenty of sunlight and be located close to the trunk. The wood should be firm and with no damage or disease. 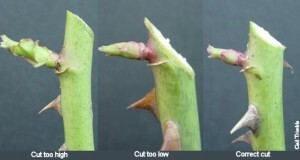 Use a pair of hand shears to remove the ends of selected canes so that they only have two to four dormant buds each. This reduces it to a fruiting spur, to produce fruitful shoots in the coming season. Cut back all other canes, leaving one bud on each. These spurs serve as renewal spurs to produce healthy shoots for next year’s fruiting canes. Remove the one-year-old wood from every plant. Tie a rope or ribbon to mark four canes for each plant to serve as fruiting canes and renewal canes. They should have a diameter of 1/4 to 1/2 inch with little spaces between nodes of about 3 to 4 inches. They should get plenty of sunlight and be located close to the trunk. The wood should be firm, free of damage or disease. Use a pair of hand shears to cut all other canes. Cut back two renewal spurs to two buds each with the hand shears. These spurs serve as renewal canes to produce the fruiting canes for the following year. Cut the ends of the canes so that each fruiting cane has about 15 buds. Leave about 20 to 30 buds per plant. Congratulations! You have now given the necessary pruning TLC to your precious garden friends and you will be rewarded with beautiful color, sweet aromas and a bountiful harvest of delicious fruit. Call us with all your pruning question. 805-966-4518.